Long before the arrival of the European settlers, a wave of migration coming from Asia led to the first population of North America. In the course of time, a vast variety of cultures developed on the continent. Today, they are often referred to as Native Americans or indigenous people; but for a long time, they were called Indians by the Europeans. Most of them were organized in clans and bands, which were social units of varying size with their own economies, traditions and political leaders. Most Native Americans considered themselves to be part of a people or nation; however, the settlers mostly described their larger social groups as ‚tribes‘. Sometimes, several tribes would form alliances or confederacies to achieve common goals; some Native Americans also established large urban settlements. Most of their societies were highly complex, for example, the Cherokee had developed a class-society, a government including several distinct institutions and offices, and a system of slavery. After the arrival of the Europeans, the societies of the Old and the New World stood in close contact with each other. 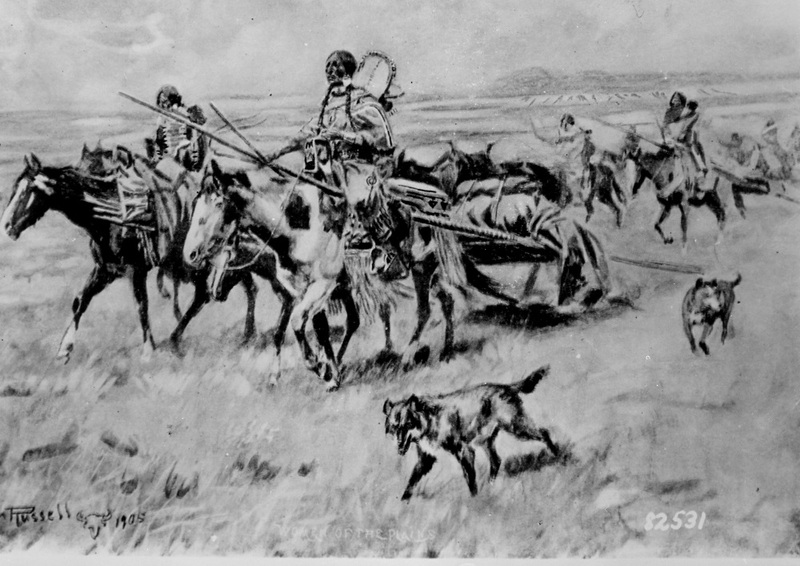 The relationship between the new settlers and the Native Americans often involved trading, arrangements and alliances, but sometimes also conflicts and violence. Over time, the Europeans had pushed back many of the indigenous people from the Atlantic coast. Within the inland areas, however, some had been able to hold their territories until the 19th century. On May 26th 1830, the U.S. Congress passed the Indian Removal Act. Its aim was to resettle most of the remaining indigenous population from their current territories in the southeast of North America to the continent’s centre. Their new land, the Indian Territory, was far away from the large U.S. settlements. 1 | The map above was created to illustrate the Trail of Tears (this is how the relocation of the Native American tribes is often called today). Read the information on the different tribes and solve the quiz below. 2 | Read the extract of President Andrew Jackson’s Speech to Congress on Indian Removal. It was held on December 6th 1830, more than half a year after the Indian Removal Act was passed. The consequences of a speedy removal will be important to the United States, to individual States, and to the Indians themselves. The pecuniary1 advantages which it promises to the Government are the least of its recommendations2. It puts an end to all possible danger of collision between the authorities3 of the General and State Governments on account of4 the Indians. It will place a dense5 and civilized population in large tracts of country now occupied by a few savage6 hunters. By opening the whole territory between Tennessee on the north and Louisiana on the south to the settlement of the whites it will incalculably7 strengthen the southwestern frontier and render8 the adjacent9 States strong enough to repel10 future invasions without remote aid. It will relieve the whole State of Mississippi and the western part of Alabama of Indian occupancy11, and enable those States to advance rapidly in population, wealth, and power. It will separate the Indians from immediate12 contact with settlements of whites; free them from the power of the States; enable them to pursue13 happiness in their own way and under their own rude institutions; will retard14 the progress of decay15, which is lessening their numbers, and perhaps cause them gradually16, under the protection of the Government and through the influence of good counsels17, to cast off18 their savage habits and become an interesting, civilized, and Christian community. What good man would prefer a country covered with forests and ranged19 by a few thousand savages to our extensive Republic, studded20 with cities, towns, and prosperous farms embellished21 with all the improvements which art can devise22 or industry execute, occupied by more than 12,000,000 happy people, and filled with all the blessings23 of liberty, civilization and religion? a) In his speech, Jackson argues that not only the white settlers, but also the Native Americans will profit from the removal. List the benefits Jackson names for both groups. b) How does Jackson imagine life and society in the new Indian Territory? c) Imagine you were a Native American living in 1830, trying to fight against the Indian Removal Act. You are given the opportunity to give a one-minute long comment in respond to Andrew Jackson’s speech. Write the script of this comment. d) Jackson speaks of the “removal” of the Indigenous population from their current territories. Today, the relocations of the 1830s are often called “Trail of Tears”. Which term do you find more appropriate? Give reasons for your choice.